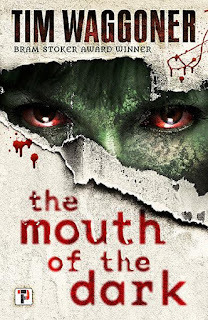 My latest horror novel, The Mouth of the Dark, is out Sept. 6th from Flame Tree Press. Advance reviews have been good, but I’ve been surprised by how many readers refer to the book as a combination of horror and dark fantasy, or simply as dark fantasy. The term dark fantasy has been used in a lot of different ways over the years. Michael Moorcock’s Elric novels were considered dark fantasy, although that subgenre is referred to as grimdark these days. Charles L. Grant called his brand of quiet horror dark fantasy, and Thomas F. Monteleone uses horror/dark fantasy as a genre term. Dark fantasy was what urban fantasy was called before a separate designation was created for it, and when the horror boom of the 1980’s became the horror implosion of the 1990’s, writers began calling their fiction anything but horror to avoid using the dreaded H word: dark suspense, dark thrillers, supernatural thrillers and – you guessed it – dark fantasy. So dark fantasy has never seemed to me to be a term that referred to one identifiable genre. But what pleasantly surprises me about seeing the term applied to The Mouth of the Dark is that when I first started writing seriously thirty years ago, my goal was to create a fusion of horror and fantasy. It was, not to be too precious about it, my artistic vision. I’d loved horror as a kid, but when I hit my teens, I started reading fantasy novels and comics. Horror was still part of my creative diet, but no more important to me than fantasy and science fiction. Comics were the first medium that showed me how different genres could be combined to make something new. One month Spider-Man might foil a mob boss, the next he might battle an alien, and the next fight a vampire. When I started writing fiction with a goal of making a career out of it, I wrote novels and short stories, trying my hand at different genres. By this point, I’d become sick of reading quest fantasy and starting reading what was called contemporary fantasy at the time. Charles de Lint and Robert Holdstock were two of my favorite writers of contemporary fantasy, and I especially liked how they used elements of horror in their work. But I was also frustrated by how the fantasy and horror weren’t completely blended and kept separate from the real world. I thought fantasy should allow writers’ imaginations to run wild, but most fantasy writers were very conservative in terms of the genre elements they used. The same for horror writers. The supernatural should’ve given them the opportunity to create highly imaginative stories, but their tales were just as conservative as those of fantasy authors. It seemed to me that these writers were missing out on an opportunity, and I began thinking of ways to create a true fusion of horror and fantasy. I didn’t focus on this idea overmuch in my writing, though. I kept writing more traditional fantasy novels because I thought they were more marketable, but I had no luck getting them published. From time to time I mulled over my notion of fusing horror and fantasy, but when I finally began thinking about writing a horror novel, the horror boom died, and there seemed to be no point in trying my hand at a horror novel. But there was a strong small-press scene for horror short fiction, so I began writing and submitting those. My writing continued along these two tracks for a while. I kept focusing on fantasy for novels and horror for short fiction. Then I wrote the first story where I felt I had found the horror/fantasy fusion I’d been searching for. “Mr. Punch” became my first professionally published story, appearing in the anthology Young Blood from Zebra Books in 1999. (You can find it in my first short story collection All Too Surreal.) The first novel where I explored this horror/fantasy fusion was The Harmony Society, which came out from Prime Books in 2003. (Dark Regions has since republished it, in case you want to check it out.) Since then, I’ve written numerous horror/fantasy novels and stories, and I’ve become known for writing such tales. When I refer to myself as a type of writer, I usually say I’m a horror writer just because it’s easiest. Still, seeing the term dark fantasy applied to my work pleases me and makes me think that maybe – just maybe – I’ve reached the goal I set for myself so long ago of taking full advantage of both horror and fantasy in my writing. So what advice do I have for those of you who would like to try writing this kind of dark fantasy? 1. Don’t limit yourself to genre expectations. Fantasy implies otherworldly forces – magic – and other worlds. There’s nothing in the term that says your story has to be set in a version of medieval England and follow the pattern of a quest adventure. Horror implies an emotional reaction to something awful that’s beyond the reality we know. This doesn’t have to be confined to one unnatural element invading the normal world – a ghost, a vampire, a serial killer, etc. Try to combine the core of both concepts – otherworldly/unnatural forces and imaginary worlds. These worlds might be separate from ours, overlap ours, exist as hidden parts of our world, etc. 2. Use nightmare images and logic. Nightmares are individual to each of us, and they contain images and events that are often different from the usual tropes of horror and fantasy. Old, worn-out tropes have no power to affect readers, but images drawn from your nightmares – or your darkest daydreams – can be more original, and in their originality lies their power. The way events proceed in nightmares can make us feel out of control because we can no longer tell what’s real and what isn’t. We can’t trust our own senses and minds. Try to develop story situations that will create this state for your characters, and in turn, for your readers. 3. Make the inner world outer. Characters’ psychology – their fears, desires, obsessions – can be reflected in the unnatural presences or environment they contend with. For example, in my Bram Stoker Award-winning novella The Winter Box a married couple whose relationship is rocky is haunted by the ghosts of their dead love for each other, and the couple experiences nightmarish scenarios based on their shared past. In short, make your characters’ nightmares – their interesting, original nightmares – become real for them. 4. Look to the real world for inspiration. Every day I see strange things in the world around me that seem to hint at a sinister, hidden aspect to existence. I know this is just my imagination at work (at least, I hope it is! ), but I use these odd little observations in my fiction all the time. For example, I once followed a Kia Soul whose owner changed the logo on the car to read SOULLESS. The vehicle had a personalized license plate that read CUTTER, and the driver ended up in the parking lot of a restaurant called The Chop House. I haven’t used this in a story yet (so don’t steal it! ), but if and when I do, I’ll ask myself what larger weirdness could that driver be connected to? What hidden part of our world – or perhaps another world – could he or she be part of? 5. Focus on your characters. They're the story. All the weirdness of dark fantasy is fun, but it's meaningless unless it's shown through the perspective of your characters and has an impact on them. I write with a close point of view to keep the story grounded. The world and events my characters are confronted with may be surreal, but I make my characters very real. It's this balance that I think (at least I hope) makes my dark fantasy effective. 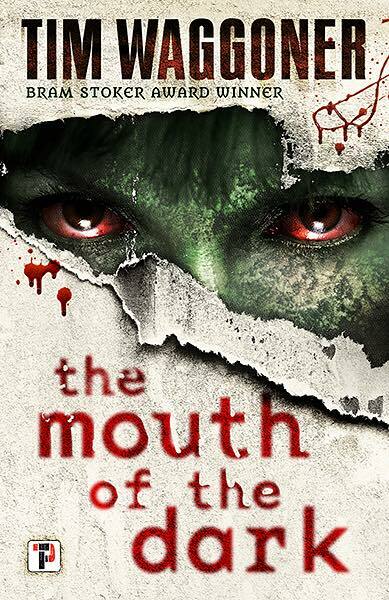 As I said earlier, my dark fantasy novel The Mouth of the Dark is out in hardcover, trade paperback, ebook, and audiobook, and reviews so far have been overwhelmingly positive. If you want to see how I write dark fantasy, it’s as good an example as anything I’ve ever produced. Check it out!